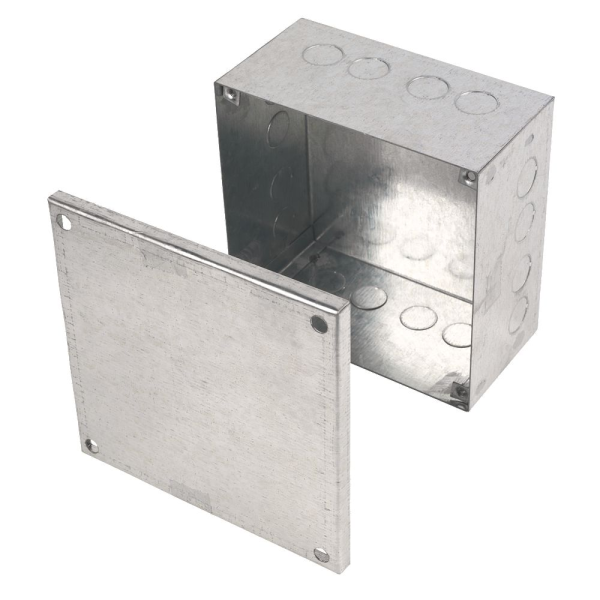 Adaptable Box with Knockouts are used to house terminations and electrical components, when fitting conduit. Available in Galvanised Steel in a number of sizes. Various sizes in Galvanised Steel.